"Again and again, Alister McGrath elegantly performs that central task of any teacher: to enable his students and readers, starting from the familiar ground of what they already know, to go on to explore new territory and begin to see an expanded horizon." 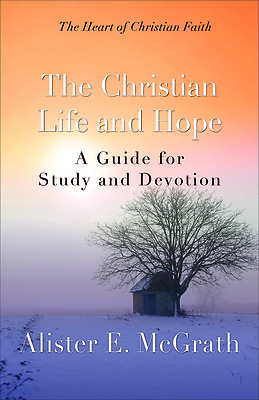 Popular author Alister E. McGrath explores the great theme of Christian hope and the way in which it transforms and sustains the Christian life in this fifth and final volume in the Heart of Christian Faith series. McGrath reflects on how the creeds give us a framework for Christian living, as well as for Christian believing. Full of stories and helpful illustrations, this book provides spiritual consideration of the difference that our belief in God makes to the way in which we think about ourselves and the world. Also available in the Heart of Christian Faith series: Faith and Creeds, The Living God, Jesus Christ, and The Spirit of Grace.